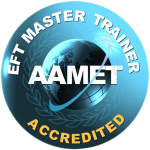 Although EFT uses our body-mind’s natural abilities to quickly sooth negative emotional states, we can be easily be caught up in self-criticism and judgement of ourselves for having the problem in the first place. When we tap with someone else for their difficulties we may feel very accepting and compassionate of their distress and have a strong wish to ease their pain. However, when we tap for ourselves we might not feel so accepting or compassionate. We might think that it is wrong for us to have a problem, that it’s pathetic or unacceptable in some way. Not only do we suffer the problem we can even feel badly towards ourselves for feeling bad. help heal shortages of caring from your childhood. 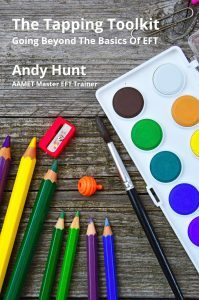 In this month’s EFT Café, Andy Hunt will explain the principles of self-compassion and demonstrate how to incorporate some of the principles of self-compassion into our tapping so that we can soothe both the part of us that hurts and the parts of ourselves that struggle to be accepting of ourselves. Join Andy Hunt on Wednesday, October 8th, 2014 from 7pm to 9pm in St Oswald’s Hospice Teaching Centre, Newcastle upon Tyne. Cost is £10.